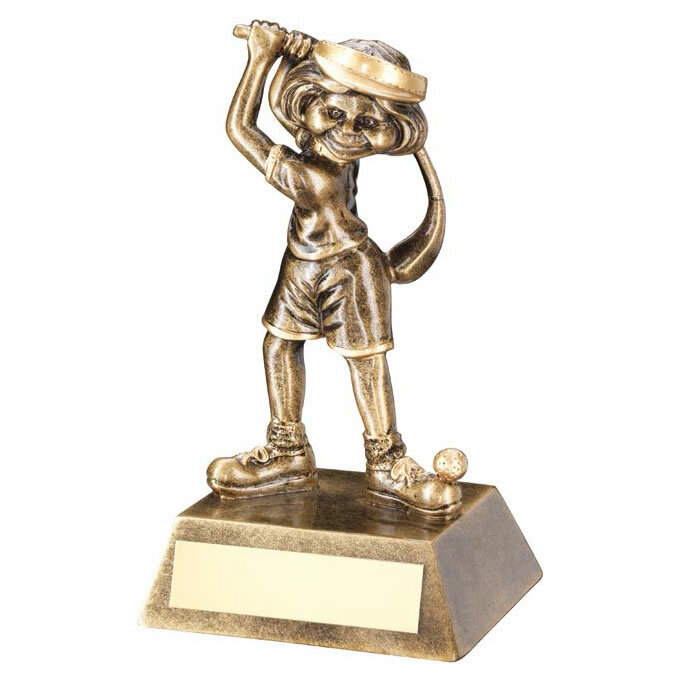 Ideal as a clubhouse award, these novelty golf trophies feature a figure of a female golfer with bendy club. Made in durable resin with an attractive bronze colour finish, they are set on a base with engraving plaque. Each comedy ladies golf figure trophy stands 5.5in (140mm) tall and is offered with engraving options for the base plate.